Ataxia is a neurological symptom that presents as loss of voluntary coordination of muscle movement. It most commonly occurs due to a deficiency in the nervous system or brain. A less severe form of this condition is classified as dystaxia. The most common occurrences of ataxia are attributed to the cerebellum, the portion of the brain responsible for motor control. Different neurological deficits in the cerebellum can lead to more specific diagnoses of truncal ataxia and appendicular ataxia. Symptoms include impaired balance, irregular eye movement, antalgic gait, tremors, slurred speech, inability to perform repetitive motions, perceptual disturbances, and loss of limb control. Some cases also present with sensory deficits, causing the loss of feeling in the limbs. This medical condition may exist as a sole condition or the symptom of another neurodegenerative disease. Three different types of ataxia are considered under Social Security’s compassionate allowances. Compassionate Allowances allow Social Security to target the most obviously disabled individuals for benefits based on objective medical information that can be obtained quickly. As soon as proper medical evidence identifies a condition on the compassionate allowance list the Social Security office will grant that claim. Ataxia telangiectasia, Friedreich’s ataxia, and spinocerebellar ataxia are on the compassionate allowances list. Claimants may also qualify under medical listing 11.17 if they have medical evidence of chronic brain syndrome or disorganization of motor function. 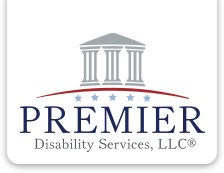 Premier Disability Services, LLC has extensive experience assisting claimants who suffer from Ataxia obtain Social Security Disability benefits. If you suffer from this medical condition and you are unable to work, please contact our office for a free evaluation.